Find here the best Alive Skin + Hair coupons and deals. 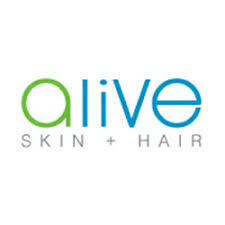 Alive Skin + Hair is home to over 2,000 haircare, makeup, beauty and skincare products. We are proud to bring you top brands Aspect, Cosmedix, Societe, PCA Skincare, Youngblood, Jane Iredale, Dermalogica, Thalgo, MoroccanOil, ASAP Skincare, Alpha H and more. Trusted & loved by thousands of people across Australia & New Zealand, we consistently deliver genuine, quality products that truly make a difference. With same day dispatch on most orders, Alive reward points and free delivery on orders over $89 you will love shopping with Alive Skin + Hair. We offer a 100% authenticity guarantee on every product we sell with the confidence of a price match promise. You can trust that when you shop with us for skin care products you will get nothing but the best.